La Tomatina de Buñol is a multitudinous party that has become the best party in Spain. Keep in mind that you are going to get very dirty in the battle of tomatoes, so after having fun throwing tomatoes, you need to shower and change your clothes. We recommend that you bring spare clothes to change into. The town hall of Buñol offers free showers. 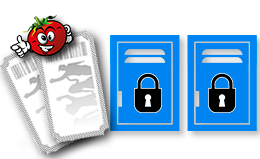 Ticketstomatina.com offers lockers where you can leave your clothes and belongings for only 5 €. You can also leave your documents, money and mobile phone at our ticket offices so that you can enjoy the party with peace of mind. The ticket offices are in our fun zone next to the bus parking.